Nissan New Vehicle Limited Warranty for vehicles equipped with CVT is 10 years/120,000 miles. Warranty information doesn’t include hybrids. Disclaimer: Based on total package of warranty programs. See dealer for LIMITED WARRANTY details. Covers repair or replacement of powertrain components (i.e., selected engine and transmission/transaxle components), originally manufactured or installed by Hyundai that are defective in material or factory workmanship, under normal use and maintenance. Coverage applies to original owner only, effective with 2004 model year and newer model-year vehicles. On 1999-2003 model years, coverage applies to original owner and immediate family members (i.e., wife, husband, daughter, son, stepdaughter, stepson).Second and/or subsequent owners have powertrain components coverage under the 5-Year/60,000-Mile New Vehicle Limited Warranty. Excludes coverage for vehicles in commercial use (i.e., taxi, route delivery, delivery service, rental, etc.). Accessories installed on a vehicle at the time of, or prior to, the vehicle’s date of first use are covered under the 5-Year/60,000-Mile New Vehicle Limited Warranty. Accessories installed after the vehicle’s date of first use are covered for 12 months/12,000 miles. 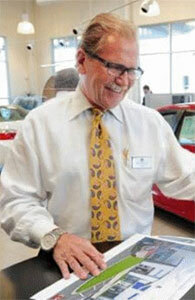 Our dedication and commitment to building vehicles of the highest quality knows no bounds. So, America’s Best Warranty is included on every new Hyundai hybrid vehicle with an added advantage-Lifetime Hybrid Battery Warranty* for original owner, and the 10-Year/100,000-Mile Hybrid Components Protection coverage is transferable to subsequent owners. 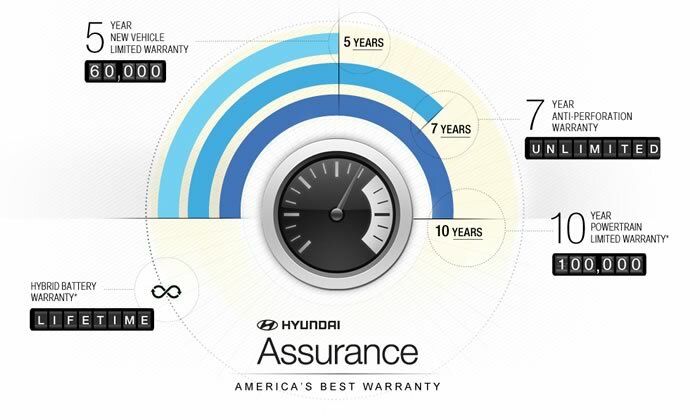 See the sections above or the Owner’s Manual for additional details on Hyundai’s hybrid vehicle warranty coverage.